Spanning his career in five decades, pianist Monty Alexander has built a reputation exploring and bridging the worlds of American jazz, popular song, and the music of his native Jamaica. He has performed and recorded with artists from every corner of the musical universe: Frank Sinatra, Tony Bennett, Ray Brown, Dizzy Gillespie, Sonny Rollins, Clark Terry, Quincy Jones, Ernest Ranglin, Barbara Hendricks, Bill Cosby, Bobby McFerrin, Sly Dunbar, and Robbie Shakespeare, among others. Joe Sample began playing the piano when he was five years old. He was a student of the organist and pianist Curtis Mayo. The group quickly found opportunities on the West Coast, making its first recording, Freedom Sounds in 1961 and releasing up to four albums a year over much of the 1960s. The Jazz Crusaders played at first in the dominant hard bop style of the day, standing out by virtue of their unusual front-line combination of saxophone (played by Wilton Felder) and Henderson's trombone. Another distinctive quality was the funky, rhythmically appealing acoustic piano playing of Sample, who helped steer the group's sound into a fusion between jazz and soul in the late 1960s. The Jazz Crusaders became a strong concert draw during those years. While studying piano at Texas Southern University, Sample met and added trombonist Wayne Henderson and several other players to the Swingsters, which became the Modern Jazz Sextet and then the Jazz Crusaders, in emulation of one of the leading progressive jazz bands of the day, Art Blakey's Jazz Messengers. Sample never took a degree from the university; instead, in 1960, he and the Jazz Crusaders made the move from Houston to Los Angeles. The group quickly found opportunities on the West Coast, making its first recording, Freedom Sounds in 1961 and releasing up to four albums a year over much of the 1960s. The Jazz Crusaders played at first in the dominant hard bop style of the day, standing out by virtue of their unusual front-line combination of saxophone (played by Wilton Felder) and Henderson's trombone. Another distinctive quality was the funky, rhythmically appealing acoustic piano playing of Sample, who helped steer the group's sound into a fusion between jazz and soul in the late 1960s. The Jazz Crusaders became a strong concert draw during those years. The Crusaders, after losing several key members, broke up after recording Life in the Modern World for the GRP label in 1987. Despite the disbanding of the Crusaders, the members would join each other to record periodically over the years, releasing Healing the Wounds in the early '90s. Felder, Hooper, and Sample recorded their first album, called Rural Renewal, as the reunited Crusaders group in 2003 and played a concert in Japan in 2004. Since Sample's Fancy Dance (1969), he has recorded several solo albums, including the George Duke produced Sample This. GRP also released Joe Sample Collection, and a three-disc Crusaders Collection, as testament to Sample's enduring legacy. Some of the pianist's recent recordings are The Song Lives On (1999), featuring duets with singer Lalah Hathaway, and The Pecan Tree (2002), a tribute to his hometown of Houston, where he relocated in 1994. His 2004 album on Verve, Soul Shadows, paid tribute to Duke Ellington and Jelly Roll Morton, and pre-jazz bandleader James Reese Europe. In 2007 he recorded Feeling Good with vocalist Randy Crawford. Some of his works are featured on The Weather Channel's "Local on the 8s" segments and his song "Rainbow Seeker" is included in their 2008 compilation release, The Weather Channel Presents: Smooth Jazz II. Nicole Kidman sang his song "One Day I'll Fly Away" in the Baz Luhrmann film Moulin Rouge! The latest release from London England-based Keyboards player, songwriter and producer James Colah is the force of coolness, tasty, stylish contemporary jazz with his original tunes. 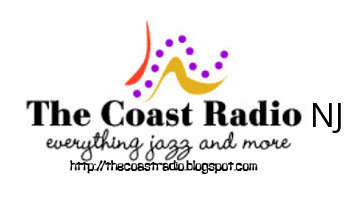 The Coast Radio Jazz & Soul, has me wondering my Jazz Pursuit of Happiness in Smooth Jazz. 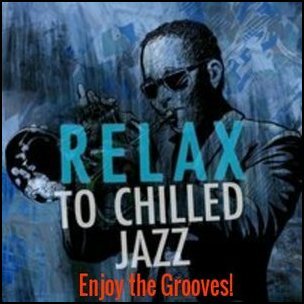 I've listened to many astounding Smooth Jazz tracks by various artists. One in particular, the amazing keyboardist, producer, songwriter- James Colah who sent us a pre-release copy of his new song "Take Me Higher", soon to be released around mid- August, 2013. James who has never sung before made his first attempt to sing. This was very exciting for us to hear his first jazz-soulful vocal track, it was electrify and blew us away. My words exactly, "Is that you James?" I didn't know you could sing? His cool, elegant, breezy style is captivating and his jazz ability will speak to those who appreciate the finer things in life! Don’t miss “Better Days, To Be With You, Come with me, Ocean Tide, Touched by the light, Blissful, Moment In Time, Say It Back, Could it be and now Take Me Higher ” from this cool new project… it’s intoxicating! It will Take your breath away. Video used for promotional use.